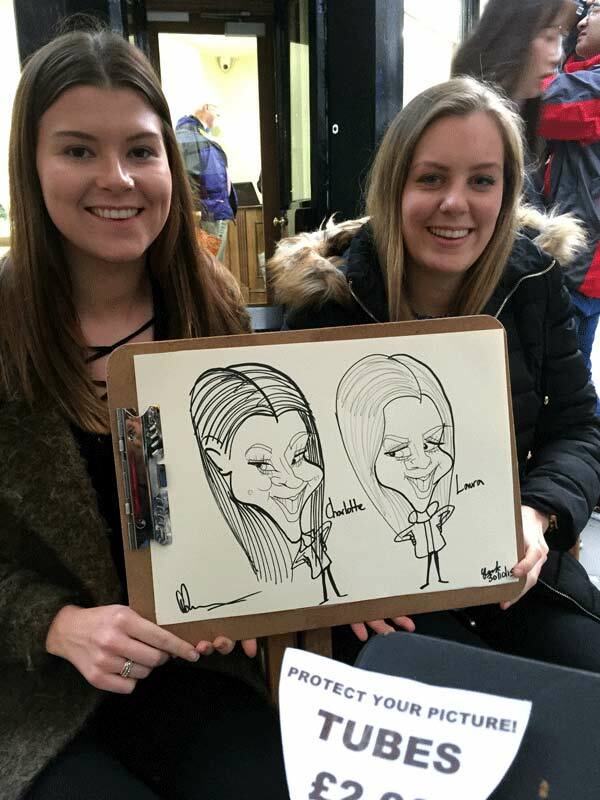 I have over 25 years experience drawing on the spot caricatures at functions in the Yorkshire area. You can hire me for Weddings, Corporate events, Birthdays, Trade shows and Christmas parties. I have worked for many famous organisations, who include the BBC, Virgin Media and the Prince's Trust. 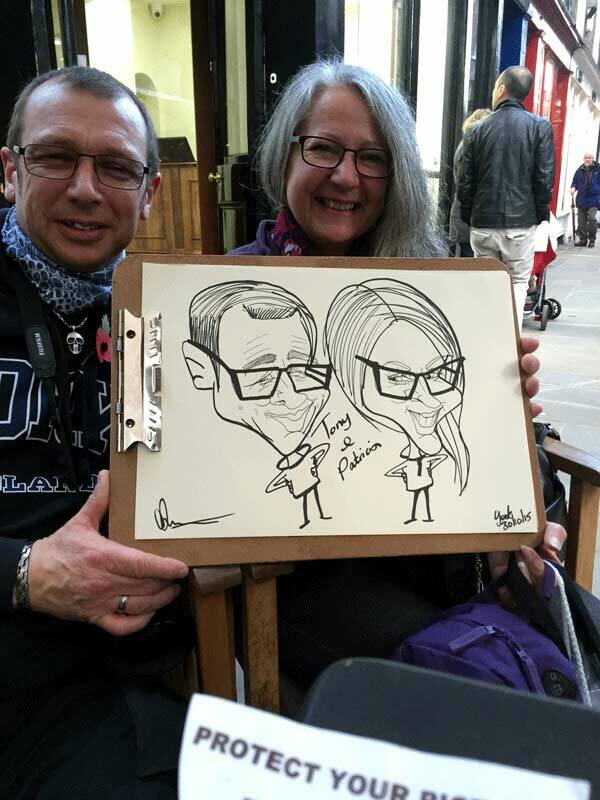 My caricatures only take 3-5 minutes so I will be able to draw many of your clients/guests for your special event. Click here to watch my live video. 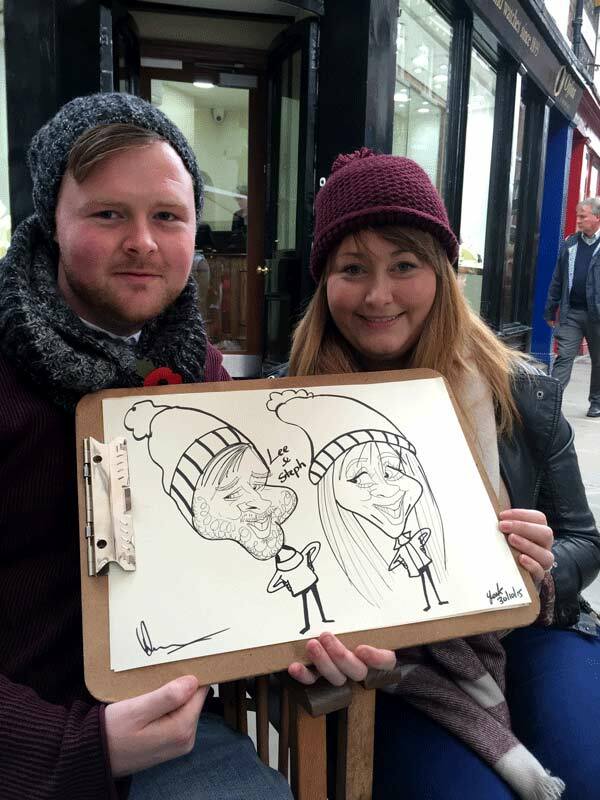 Below you will be able to see some of my on the spot 5 minute caricatures Examples. Call me now on 07971 341 344 for a free friendly quote. 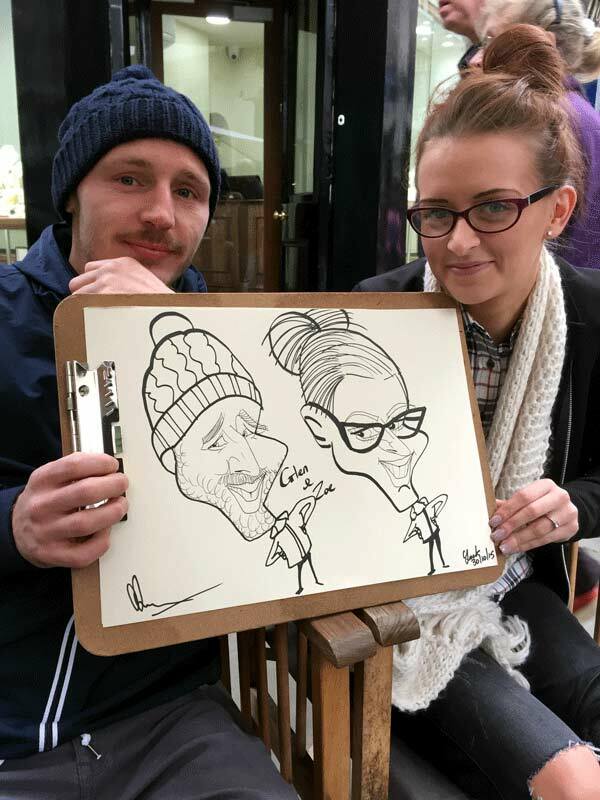 Wedding caricatures are right up there with bands and DJ’s when comes to entertaining your guests. 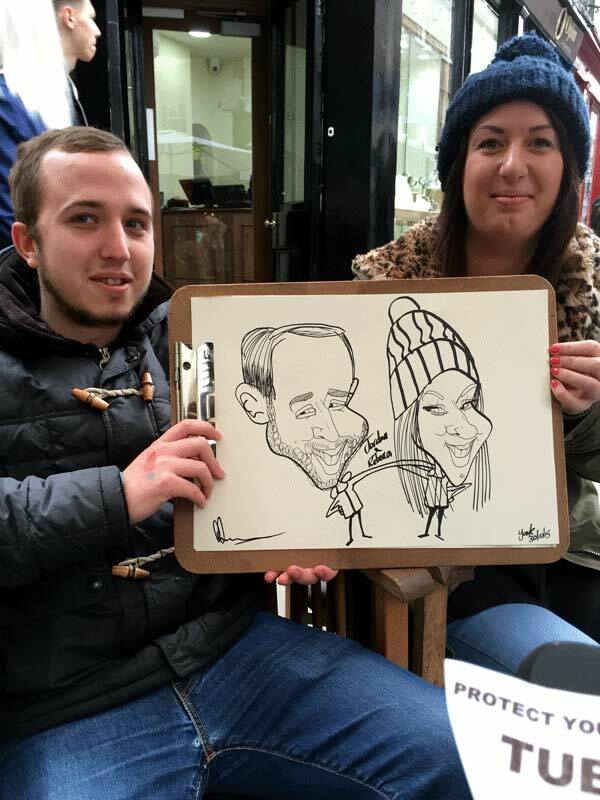 I will entertain your friends and family and special friends, which will give a special memory for the big day. 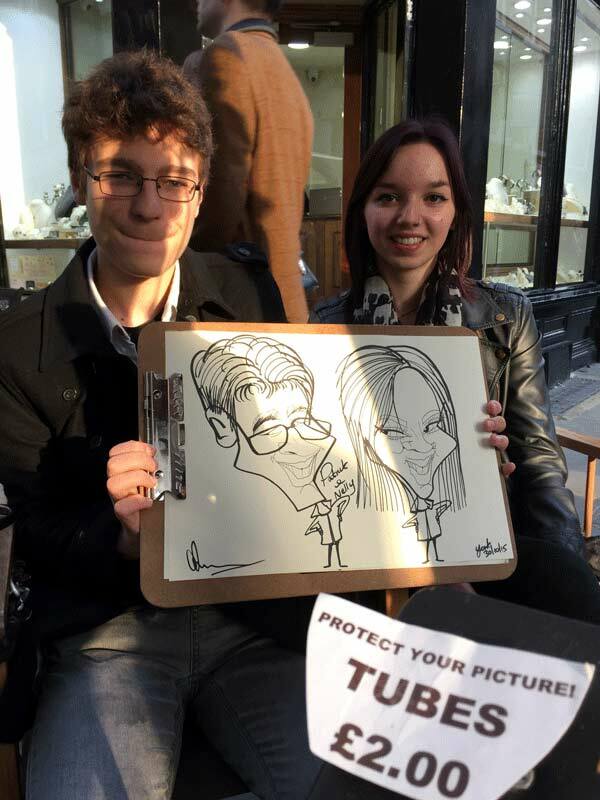 I use high quality paper and each caricature is rolled up in a tube. Please click on the images below to enlarge!